A restaurant kitchen is one of the most challenging and difficult areas to work. Not only do you have to deal with the mental stress of getting orders out on time, but also the physical dangers that a restaurant kitchen presents, like burns, spills and more. 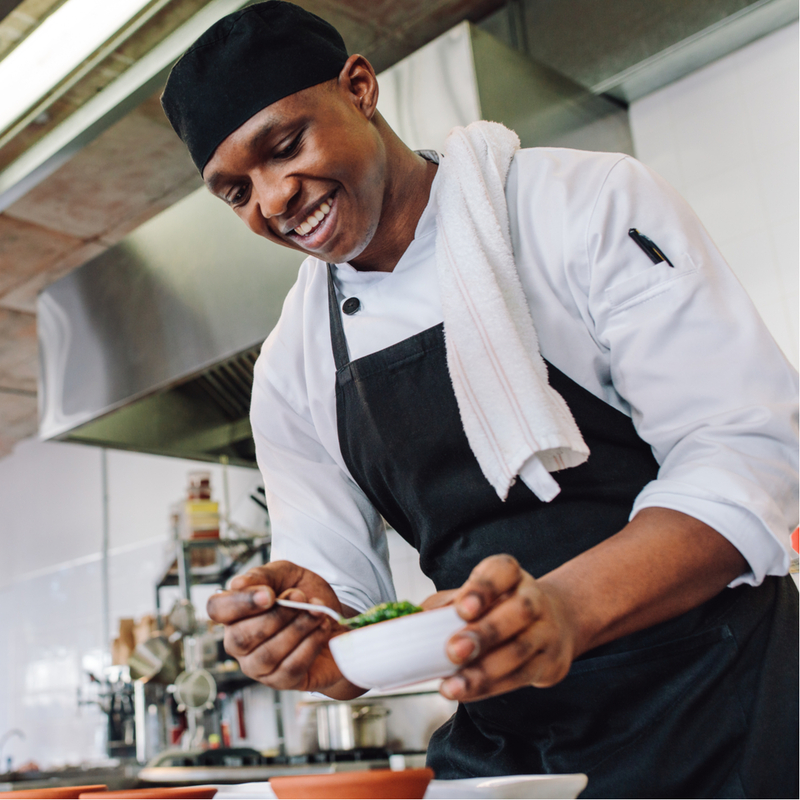 That’s why high-quality cook uniforms are absolutely critical to not only create cohesion among your restaurant staff but also to protect them from the hazards of the kitchen. You can trust Dust-Tex to supply the cook uniforms that you need and that you can depend on. We provide timely delivery services so you have the right uniforms for every single shift. Keep your restaurant cooks comfortable with our line of first-rate cook uniforms. We offer cook shirts in black and white. Our cook apparel looks great while keeping your restaurant workers safe on the job. Our simple and cost-effective restaurant uniform services take one more thing off of your plate. Stop focusing unnecessary energy on managing your cook uniforms and instead focus on growing your restaurant business when you work with Dust-Tex! Our rental services include pickup, laundering and delivery so you don’t even have to lift a finger to get the right amount of uniforms at the right time for your restaurant workers. Our high-quality apparel is comfortable yet durable, providing the aesthetic look that you require while allowing for the mobility that your staff needs to get their job done correctly. If you have any questions or concerns about our cook uniforms, please reach out to us! You can give us a call at 808-842-4811 or fill out our online contact form and a Dust-Tex representative will be with you shortly. We will give you all of the information you require to make an informed decision for your restaurant uniform program. Get in touch with us today! We can’t wait to hear from you.